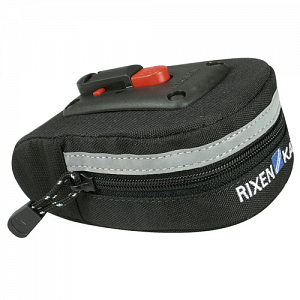 Saddlebag for all small things on the road like repair set, spare tube, tools etc. Made of soft nylon with Scotchlite reflector and waterproof coating. Adapter plate with additional release button. Guarantees easy, single-handed access to unlock the saddlebag.